People living in other cities will not be able to relate to that. Most people consider an everyday commute of 30-40 minutes each way to be long already. But guess what. For your Moscow peers one-way commute can be anything from 1.5 to 4 hours. Why is it so and what do people do in traffic jams? Why Traffic Jams in Moscow Are So Bad? First of all – the city is huge! Official data says there are 12 million of people, who live in Moscow. But we have to add 2-3 million of visitors and non-registered residents to that number. 4 million cars are registered in the city and an unknown number of cars come from elsewhere – either Moscow region or other regions to Moscow daily. Moscow takes more than 1000 square km of land. Secondly and most importantly – Moscow was founded in the year 1147 and radial ring planning was the most typical for ancient Russian cities. 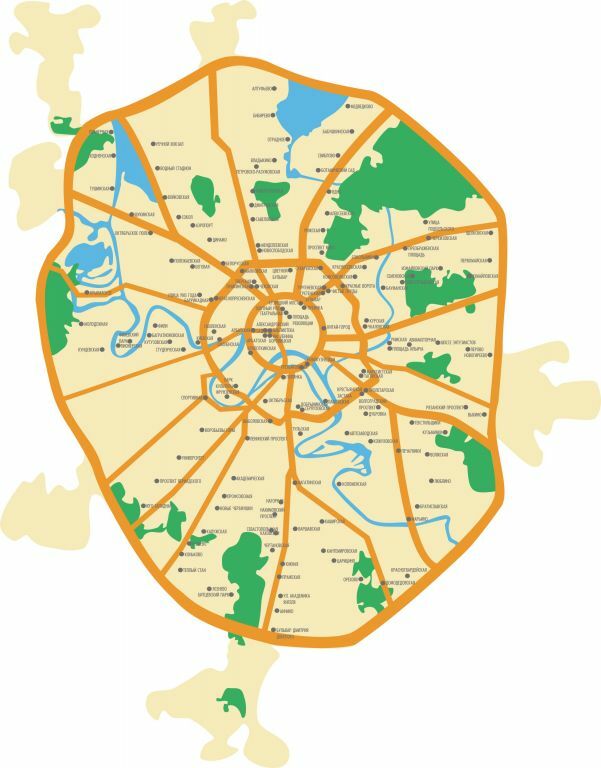 Now Moscow has 4 rings – Boulevard, Garden, Third and City Limit rings and many radial roads. What worked in ancient times does not work well now – the closer you are to the center, the more dense traffic becomes. In addition to that, city government only recently has started to manage parking in the city, introducing paid parking in the center. Before you could park wherever you find a spot of land big enough to land your car. People parked cars in several lanes on each side of small roads and even on sidewalks. That is starting to get regulated now with fines and evacuation of cars. Also, large trucks are now banned from entering the city limits during day time. But there is still no fee to enter the central area or other economic regulatory measures. Finally, Russian drivers do not like to abide rules and that creates many accidents and contributes to traffic jams, especially in winter time. That is why so many drivers have dash cams. So one hour of commute each way to and from work is considered to be great, 1.5 hours is considered to be normal, 2 and more hours – a valid reason to complain about it to friends. Why Not Use Public Transport Instead? Valid question, especially given the all the accolades to the beauty of Moscow metro system! Moscow subway is indeed one of the treasures of the city, which evokes truly patriotic feelings in any Muscovite. Each station is different and most stations in the center are veneered with marble, granite, have murals, sculptures and other amazing decorations. 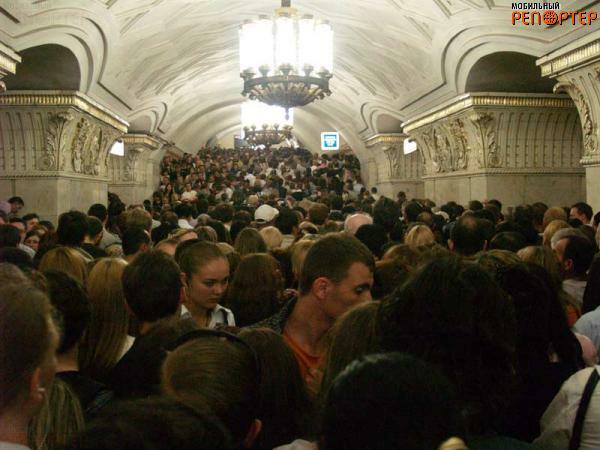 Although Moscow metro stations do look amazing, they get incredibly overcrowded during rush hours. And there is no air-conditioning in most trains. In addition to that, for most people a nearest subway station is within 10-30 min walk, which is not convenient in winter time. Of course, there are buses, but there is no timetable and buses also get crowded during rush hours. 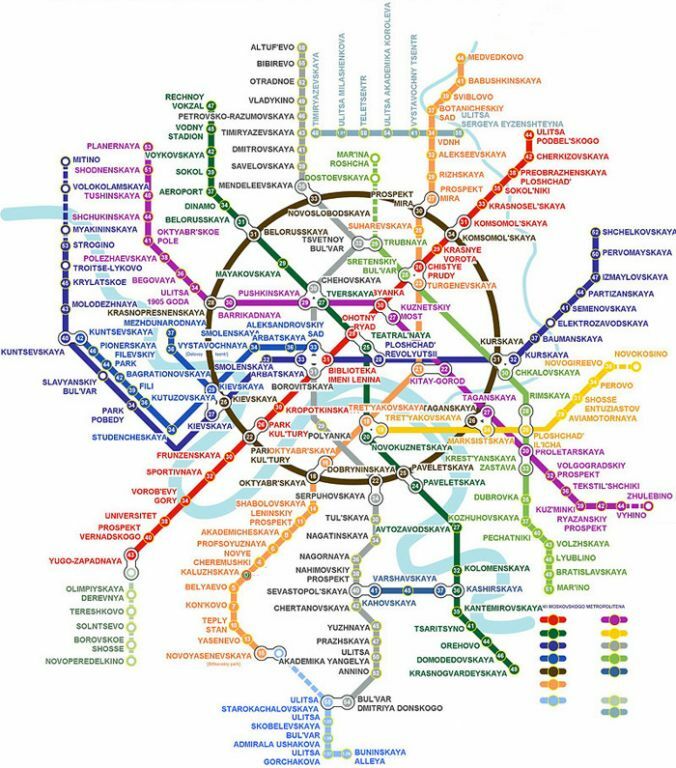 Finally – let’s look at the Moscow metro map. It repeats the radial ring road plan, but has fewer rings. As a result – ALL people have to first travel to the center if they need to change lines. That explains traffic jams in metro during rush hours and length of commute time. To give you an idea of how huge is the city – travel from one end to the other end on any of the radial lines takes an hour or more. What Do People Do in Traffic Jams? Listen to the radio, mostly music stations. There is an abundance of those – from pop music to Russian music, from mellow jazz radio to brutal prison songs on Shanson radio. Radio mix typically includes songs, DG intermissions, advertising intermissions and contests. A lot of people like to call radio station from traffic to take part in contests. They sing songs, answer quests, tell their stories, congratulate their friends with birthdays and other events. Many people listen to audiobooks, some also study languages. However usually radio is just a background. It is impossible to imagine Moscow car without radio or an audio player working. But solo audio cannot entertain us for 3-4 hours every day. We do a lot more in traffic. Flirt. A lot of relationships start in traffic jams and rumors are that many of them result in long time relationships and families. We complain about traffic a lot. And always use traffic as a valid excuse of being late, even if the real reason has nothing to do with traffic. And our president often uses helicopter to get to work from his residence in Moscow suburbs, which tells you something about traffic situation. However, most drivers still find driving more comfortable than using public transport. We spend so much time in our cars that they become mini-versions of our homes. Typical Moscow girl has a spare pair of shoes, food, a change of clothes, reading materials, an umbrella, make up kit and so many other things in her car. We are trained to survive in traffic every day. We have everything we need here. Read about real people stories of how they have used traffic jams to their advantage in this great BBC News article. 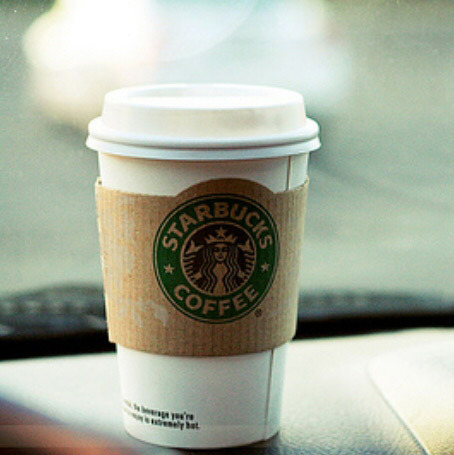 And please share your stories of commuting to work and overviews of traffic situation in your city! ← Do Russians Believe in Superstitions? Haha. All of the activities sounded normal until you got to “Flirt”, that is hilarious! The metro stations look beautiful… I will probably take my chance with public transport when I visit Russia! As for traffic, it takes me an hour to commute to and from college (in India). So I guess everyone has a unique way of spending time… I know that daydreaming is one of my favourites! Our Metro is indeed gorgeous and it is one of the tourist’s attractions! Definitely look at it when you visit Russia! I have a separate post about Moscow Metro in my editorial plan for later this year. I will attempt at telling about the history of Metro, show more photos of the most beautiful old and new stations and will tell some of the urban legends about Metro! It’s always good to read about different places and problems to realize yours are not that unique. I live in Rio de Janeiro, Brazil and public transportation here is very bad. You can account it for the fact that the city is kind of squeezed between the sea and the mountains. Our metro has only two lines and it’s always packed during rush hours. Many bus lines (too many) complicate the traffic for cars and spending one or two hours in traffic is not uncommon even for short distances. But we don’t embrace this situation as Muscovites do. Besides complaining (a lot), we try to find residences closer to the workplace or jobs closer to home. It’s quite common to quit a job because of the distance or to move to a new apartment closer to a new job. I hope I can visit Moscow someday and check your beautiful metro stations. But not during rush hours, of course.